INDIANAPOLIS –Citizens Energy Group is building new water supply intakes on the White River and Fall Creek to enhance the utility’s ability to meet customer needs during dry weather. Citizens is constructing a new water intake at 3400 White River Parkway Drive that will allow 70 million gallons of water per day (MGD) to be transferred from the White River to the Central Canal for use at Citizens’ White River Treatment Plant. This new intake will be used to supplement water supply to the canal during dry weather and provide an additional supply source for the canal. 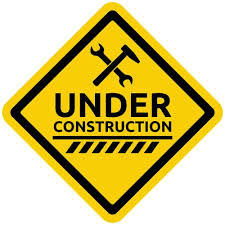 The White River intake construction recently restricted through traffic on White River Parkway East Drive until December 2018 and will impact parking at Fairbanks Park from now until April 2018. Starting March 2, the project will also result in the closure of 400 feet of the Central Canal Trail. The trail is expected to reopen in December 2018. The utility is also building a new water supply intake near 16th Street just west of downtown Indianapolis that will allow for the transfer of 30 MGD of water supply from Fall Creek to the Central Canal and the White River Treatment Plant. The new Fall Creek intake will be expanded to 40 MGD by the end of 2020 when the utility completes the Citizens Reservoir Project, which involves conversion of a stone quarry in Hamilton County.